Kirra Surf Unit number G04 is superbly located in this ultra modern building. It is a ground floor unit with a massive private courtyard area for your own private, secluded use. Perfect for the family. Outdoor private courtyard area that has a table that seats 8 adults, and 2 sun loungers for that sun lizarding and worshipping in your own private courtyard area! You wont find a better quality unit in a better amenity building for this price. BOOK NOW!!! All linen and cleaning costs are included in the price. A one off bond of $300 will need to be paid to the owner in advance, in lieu of credit card facilities - for security purposes. This will be refunded after check out and within 7 days of your departure to your nominated account. Alternatively this can be paid by credit card. 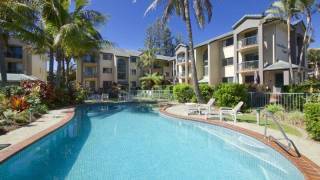 Why Stay at this Kirra Surf ground floor unit? 4 guests easily accommodated in the beds supplied. There is also a blow up double bed available for a 5th guest if needed (additional cost of $30 per night) - or infants can attend free of charge in their own provided bedding arrangements (cots etc). Free secure underground car parking available for one car. Plenty of other free visitor and on-street car parking readily available. 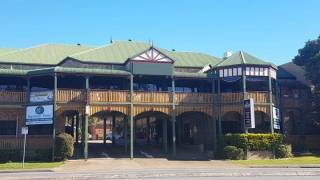 2 minutes from Gold Coast Coolangatta airport. On the beach front at Kirra, around from Coolangatta. Kirra Surf Units - cannot be missed. Large surf shop in the complex. Enter via Creek Street, but fronts Musgrave Street, the main beachfront street at Kirra. Beach. Sun. Gym. Restaurants. Bars. Coffee shops. Surf. Run. Relax. Ride bikes. Play with kids in child playground across the road. Go to the famous local surf clubs for a beer, cheap meal or entertainment. Will be provided approximately 7 days prior to check in. Details will be provided for collection of keys at a convenient time and place for ease of access to the car park and the apartment. b) Guests must notify the Manager of any disputes or complaints from neighbours as soon as is practicable. b) Parking arrangements at the Property are as follows: there is only 1 (ONE) secure carpark to be used by Guests or Visitors and it is the carpark that is designated for the unit and outlied to Guests at time of checkin. b) Garbage and recycling arrangements at the Property are as follows: use the allocated bins as shown in the compendium provided in the unit. a) The swimming pool/spa must not be used between the hours of 8.00pm and 8.00am as indicated at the property. b) No glassware is permitted in the pool. Private Courtyard - Deck and balcony areas This area is subject to your own private use but please be conscious of neighbours (above and beside). Also please ensure you are aware that there are numeorus units above and items can be dropped from balconies above, which may cause damage to persons or property. This area is used solely at the risk of the renters, including their guests. Care should be taken at all times. Smoking is not permitted indoors, and only in the courtyard where you are not acting as a disturbance to others. Pets are not permitted in the property unless otherwise agreed with the owner. Damages and breakages must be reported to the owner. Arrangements for keys, security, dishwashing, rubbish, etc are as outlined in the welcome pack. In the event of an emergency relating to the Property, please telephone Conrad on the details provided in the welcome pack. b) The Owners reserve the right to terminate permission to occupy and to evict from the Property, Guests or Visitors who refuse to follow these House Rules or who cause a nuisance. Cancellation if caused by the client, money paid is not refundable unless the apartment is re-let for the entire period. If it a refund is made due to the property being re-let then a $50 cancellation fee will apply. Departure - the property should be left in a similar state to its condition on arrival. Check-out time is 11am by the latest (unless otherwise agreed), to allow time to prepare the property for next guests. Bond is payable at the same time as the balance amount. The bond will be refunded within 7 days in full subject to the above conditions being met. It is designed to cover any additional costs incurred including but not limited to, any breakage, damage or excess cleaning requirements, extra guests beyond those declared, etc. Payment by credit card (PayPal, MasterCard or Visa) will incur an additional fee of 3% of the value of the booking. Payment of rental money constitutes acceptance of the Terms and Conditions Money paid is not refundable if cancellation is caused by the client unless the apartment is re-let for the entire period. If a refund is made a $50 cancellation fee applies. The owners will make every effort to ensure the property is available as booked. However the owners reserve the right to make alterations to bookings due to unforeseen circumstances We appreciate most will respect our property but the occasional abuse requires that we state the following: Number of Guests should not exceed the number agreed in email. Fees will apply for excess guests Parties and Functions are strictly prohibited. The price charged is for domestic use only. This does not allow for extra wear of functions, cleaning, garbage, wear/tear, repairs etc. Use contrary to this may result in loss of your bond and/or additional costs Damage, Breakages, Theft and Loss are the tenants responsibility during their stay, including the owners take no responsibility for the tenant's personal property. Departure - the property should be left in a similar state to its condition on arrival. Checkout time is 1030am to allow time to prepare property for next guests Disturbance to our neighbours, including excessive noise, is prohibited and may result in termination of rental and loss of bond Bond of $300 is payable direct to the owner, separate to the booking payment. Terms and Conditions of Use of the Property. Beautiful Kirra Beach, right opposite the KIRRA SURF unit block is located at the quiet Southern end of the Gold Coast. Kirra Surf units are located at the Northern end of this protected, idyllic surfing oasis. Just a short stroll is the North Kirra Surf Lifesaving club and just south, a further stroll to a fine and ever expanding restaurant and café precinct. The Gold Coast Airport, experiencing huge upgrades at present, is barely 5 minutes away by car or taxi and although a busy airport, is not audible at all from the resort. Driving up from the Southern Regions of New South Wales, you enter the Southern Gateway to the Gold Coast. Two large shopping centres are within easy driving distance with a wealth of restaurants and cafes along the beach front of Coolangatta. To the north and Hinterland, within 20 – 30 minutes are some spectacular beaches and a wide range of natural features, National Parks and Rainforests.